If your knightly character is a bit less than noble, or if you just prefer a darker style, then try out the Black Ragnar Chainmail Hauberk. This chainmail provides a comprehensive armored look with a distinct, dark metal coloration. Made of mild steel, this hauberk has been chemically colored for a darkened look. 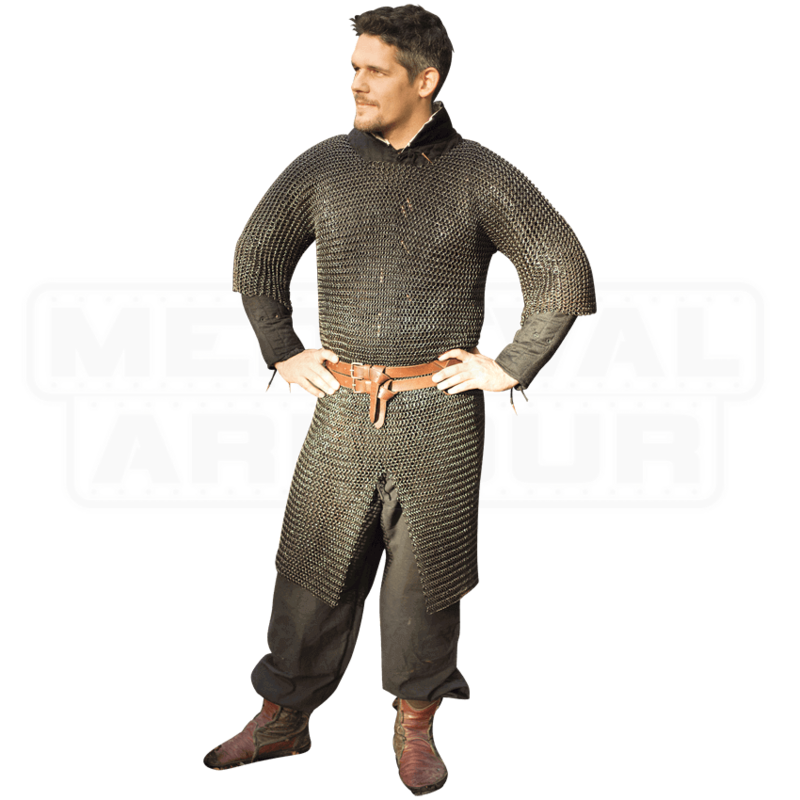 The Black Ragnar Chainmail Hauberk features a butted ring construction where each ring interlocks with four others, creating a 4-in-1 design, and the armpits are reinforced with riveted rings to combat the stress of movement. 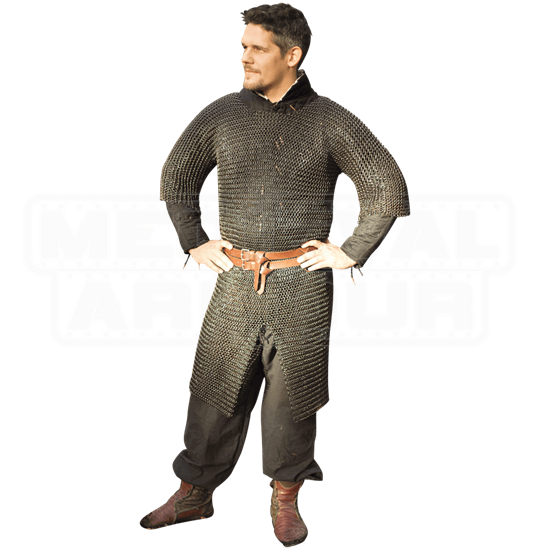 Covering the wearer from the neck down to the thighs, a split in the center of the skirt portion and its short sleeve design allows for movement, making the Black Ragnar Chainmail Hauberk an excellent choice for your next LARP or medieval reenactment event. Due to its handcrafted nature, this armour may display slight variations in its appearance. Wear it over a gambeson for comfort, safety, and a more authentic look.